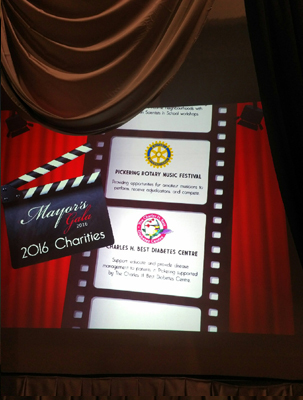 The Rotary Club of Pickering is passionate about the many local community groups we support. We believe that supporting where we live and do business is very important to us. 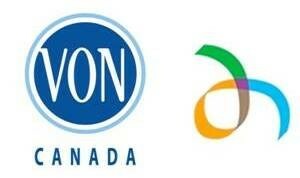 We are equally passionate and excited about our Indigenous People and International Projects. Our International Project allows us to help countries obtain clean water through water filtration in many of the underdeveloped countries. We aim to make a difference both in our community and in the world at large. As teamwork and collaborations are customary in Rotary, we would like to share information and photos about an international project we recently supported. On November 19th our club had the honor of attending the 2016 Mayor’s Gala at the Pickering Recreation Complex. 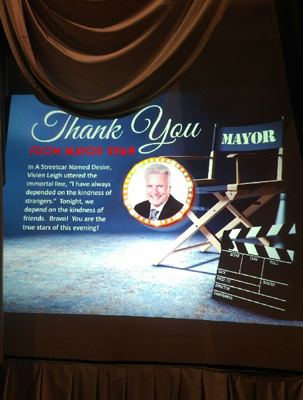 Mayor Dave Ryan, and his wife Anne, put on a spectacular event themed, “Old Hollywood – An Affair to Remember”. The Gala Chair, Diana Hills, organized the entire event in true Hollywood fashion, complete with “paparazzi” and a red carpet walk. On the evening of August 23rd Jim Louttit, the new District Governor for 7070, joined us to not only to introduce himself to the club, but to also impart his vision and objectives for the district in the coming year. Jim joined Rotary in 2005 as a founding member in Lima Peru and in 2007 moved back to Canada joining the Toronto Sunrise Club holding many positions including President. Distress Centre Durham helps individuals in distress to cope by providing emotional support, crisis intervention and suicide prevention. Our services include a 24-hour crisis line, community contact call out program, online text and chat program, community education, and a comprehensive suicide survivor program for those who have lost someone in their life to suicide, the only one of its kind in the region. The Congress of Black Women is a non-profit organization. The Ajax/Pickering Chapter is involved in developing activities that will promote the well-being, health and educational opportunities for black women and their families. We also work to foster harmony within our community. 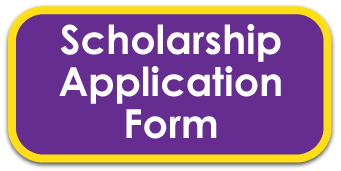 Our programs and initiatives include; scholarships awarded annually to high school students and an adult pursuing post secondary education, programs for youth, Summer Camp Assistance Program, Educational Forums to educate the community on various issues, Community Resource Group, collaborate with local partners to inform and educate the community during black history month and our Annual Children’s Holiday Party. The Pickering Public Library’s vision is to “inform, inspire and connect all residents to build a community that is more innovative, more knowledgeable, and more successful.” We strive to provide all Pickering residents with equal access to the resources, information, and ideas that will enrich their civic, corporate and personal lives. In keeping with our vision, we started lending wifi hotspots because access to the Internet is vital today. In 2018, we will be creating a makerspace at the Central Library to ensure that our residents can develop the digital skills that they will need in the future. If you haven’t visited your public library lately, maybe it’s time for a visit. The Pickering Reading Circle is a volunteer based community service organization committed to improving the literacy & numeracy skills of school aged students. The group focuses on assisting students in the English or French stream from Kindergarten to Grade 9. The organization provides assistance, guidance and mentorship to the participants. The programs belief is: ‘Literacy to be the cornerstone of success’, and focuses on developing and improving the students’ level of skills. The service delivery is to show interest, provide support and encourage the child to excel to be a successful student, who in turn will go on to become a successful adult. The program encourages high school students to volunteer. The students who opt to volunteer are the role models’ eager to pass on positive learning assistance and advice to a child trying to learn. The program also enlists adult volunteers passionate about improving the standards of literacy. Over a quarter of a century of service (Est: 1992) its been realized the programs greatest assets are its volunteers, as without these committed and dedicated individuals the program would not exist. DeafBlind Ontario Services is a not-for-profit organization helping individuals who are deafblind to increase their independence and improve quality of life through residential and specialized services, including two locations in Durham. Since 1989, we have strived to inspire the spirit and determination of the people we support. Deafblindness is a combined loss of hearing and vision to an extent that neither the hearing nor vision can be used to access information to participate independently in the community. Our Intervenor staff help clients to communicate through the sense of touch, enabling them to connect and interact with the world around them. VON Durham Hospice Services, a registered charitable and not-for-profit organization, provides compassionate and timely comfort, care and hope to individuals and caregivers touched by end-of-life issues. VON Durham Hospice Services’ core programs include palliative and bereavement support and educational services throughout the Durham Region. Our programs are delivered by a team of approximately 10 staff and over 200 highly skilled and trained volunteers. Each year, VON Durham Hospice Services touch the lives of over 800 individuals through physical, emotional, social and practical support. Through Dunbarton North students will have the opportunity to learn first-hand about the ecological, cultural and economic impacts of climate change in both the GTA and the Canadian Arctic. 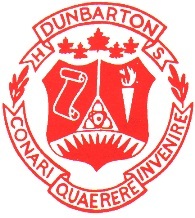 A first in Ontario, Dunbarton North is a two-credit cooperative education program focused on five SHSM sectors(Arts, Construction, Environment, Health, Sports) and the needed future skills for each sector in light of the social and economic challenges and opportunities arising from climate change in both the GTA and the Canadian Arctic. Students will learn in their own community and then transfer skills to their learning in Churchill, MB. 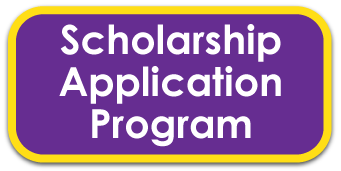 This program is uniquely able to meet experiential learning goals including; deepening student understanding beyond the curriculum; acquiring the knowledge and skills needed to make informed education and career/life choices; developing student capacities for deeper learning; helping them to acquire important 21st century competencies; and contributing to a local and a national community; and developing competencies related to their identity as individuals and as members of their community, society, and the world. The Rotary Club of Pickering prepares Christmas packages for the children of the Neskantaga native reserve in northern Ontario. 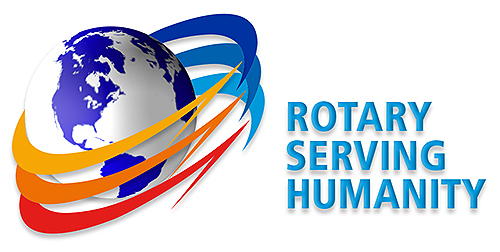 Rotary also supports the HIP (Honouring Indigenous People) organization, providing assistance to help them fulfill their mission to support Indigenous Peoples’ education vision in addition to promoting understanding and awareness of Indigenous challenges. HIP’s activities are initiated by First Nation communities. The Indigenous children are provided with winter clothing to make it safe for them to attend school and nutritional food that allows them to focus on learning. Sports equipment and programs are provided to promote healthy living and encourage youth to stay in school, achieving their full potential. Books, technology and school supplies are also provided to inspire and encourage learning. HIP is instrumental each year in successfully delivering over 180 pallets, an estimated $650,000 worth of food, clothing, school supplies, technology, hygiene products and sports equipment, to 20 First Nation communities. ​Africycle is utilizing donated proceeds provided by Rotary Pickering towards the shipment costs of used, donated bicycles from the GTA to our Africycle refurbishment and distribution facility in Malawi, Africa. The bicycle is an effective tool to improve access to affordable mobility. Mobility helps break the cycle of poverty by unlocking access to water, education, healthcare and market for the rural poor. Africycle is proud to be celebrating our 10th year with over 10,000 bicycles distributed. Visit us at www.africycle.org to learn more. 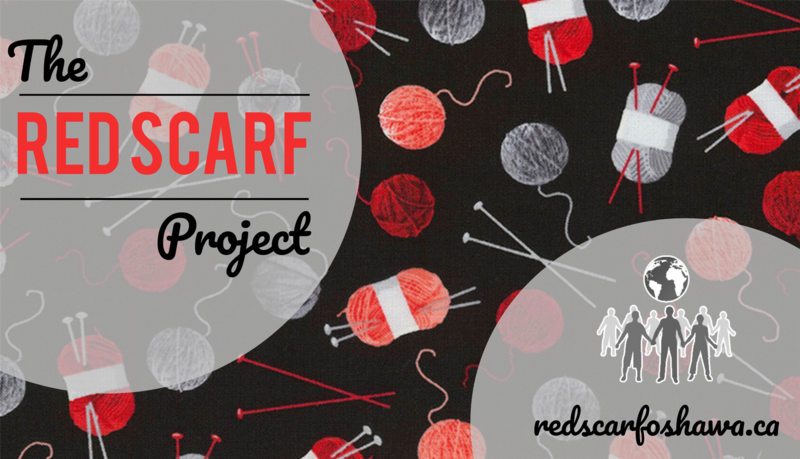 AIDS Committee of Durham Region (ACDR) is a community based, non-profit organization that works to support and improve the lives of those living with by HIV/AIDS. We do this by providing a broad range of programs and services that meet our clients’ self-identified needs. Some of these services include free and confidential counseling, programs like our food and vitamin banks, and our Positive Living Wellness Fund, which provides financial support to our clients to help defer the costs of the large medical expenses. ACDR also engages in targeted and culturally appropriate preventative education and outreach in order to stop the spread of the virus. Children's Wish Foundation of Canada is the largest all Canadian wish granting charity dedicated to granting wishes to Canadian children between the ages of 3 and 17 who are diagnosed with a life-threatening illness. For more than 30 years, Children’s Wish has worked tirelessly to grant heartfelt wishes to nearly 25,000 children and their families. Children’s Wish grants approximately three wishes each and every day. Currently, the Ontario Chapter is working on granting 600 wishes. Each wish is carefully structured to meet the particular needs of the child and their family. Children’s Wish is a national charity with chapters in every province and territory. For more information, visit our website at www.childrenswish.ca. The Durham Elder Abuse Network is comprised of over 60 member agencies from both profit, and not-for-profit sector. The goal of the Durham Elder Abuse Network is for all seniors in Durham Region to live with dignity and respect and in a safe environment. 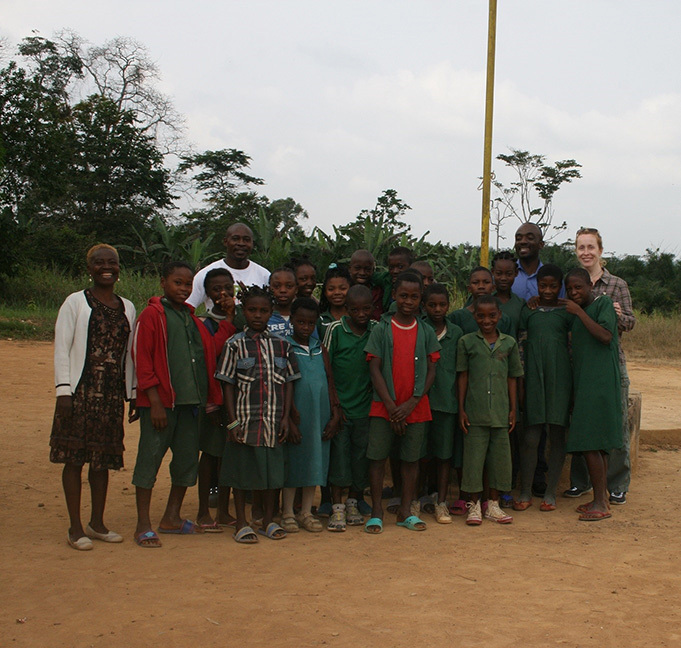 Joanne Hutchinson: an active volunteer in Toronto and in Zambia. Joanne has a long term commitment to sustainability and when on a visit to Africa in 2011 she saw the poverty and need in very poor Zambia and started, Socio-Economic and Environmental Development Solutions (SEEDS) a registered Canadian charity which provides non GMO fruit and vegetable seeds to Zambia which supports a local tree and fruit tree nursery for agricultural training and rehabilitation. The fundraising and seed collecting program here in Canada provides an interesting model for sustaining a self-sufficient project in Africa. 1.6 million seeds sent so far!